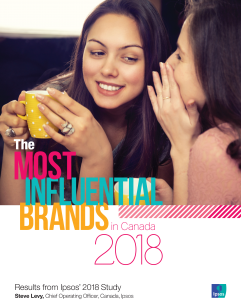 The Most Influential Brands study unveils and ranks the most influential brands in Canada, and offer a case study perspective on the dimensions that drive each brand’s influence. The 2018 study was conducted in 17 countries and evaluated 100+ brands in each country and ranked their influence. *You must be an ACA member to access this content. What resources do you provide? How does ACA’s advocacy help us? How do I register for events? How can I stay up-to-date with marketing news?